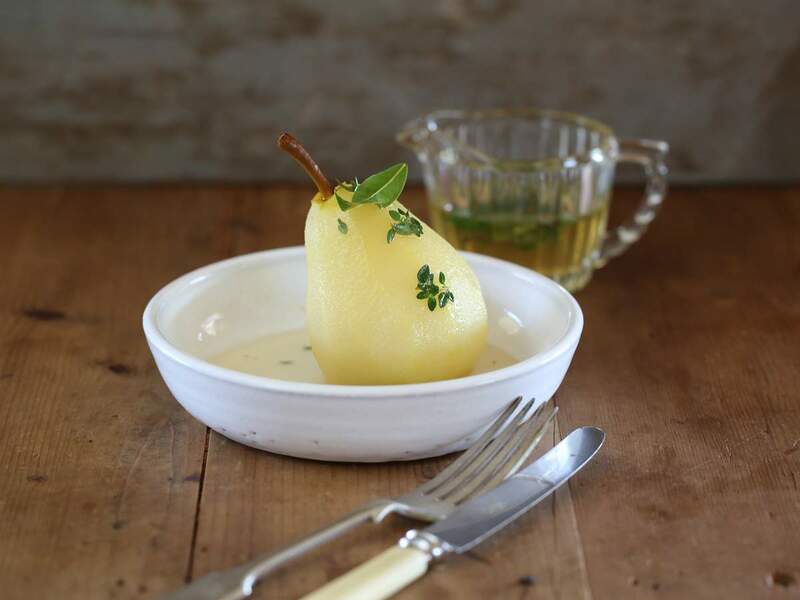 Step 1: To poach the pears, place the pears in to a medium size pot so and pour over the pear cider, which should cover the pears. Then add the sugar and bay leaves. Step 2: Place over a medium high heat, bring to boiling point then reduce the heat to medium low. 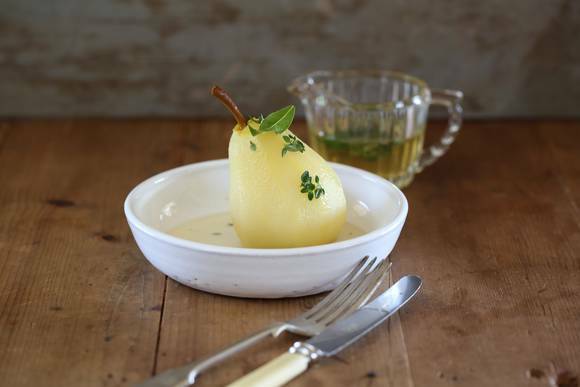 Place a lid on the pot and gently simmer for approximately 40 minutes or until the pears are cooked through. Step 3: Meanwhile, place the Verjuice and castor sugar into a small pot, place over a high heat and reduce by half. Then remove from the heat and pour in to a clean bowl to cool. Step 4: Remove the pears from the poaching liquid and set aside to cool. Meanwhile, increase the heat and bring the cider poaching liquid to the boil and reduce to half a cup then remove from the heat. Remove the bay leaves and then set aside to cool to room temperature. 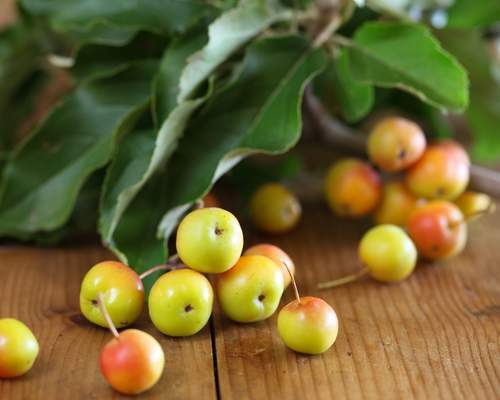 Step 5: Once both syrups have cooled , combine together and add the lemon thyme leaves and lemon verbena leaves. Stir together. 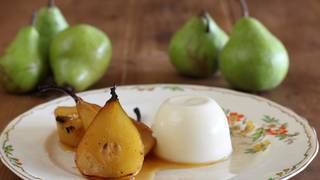 Step 6: To serve, place the pears in to a platter or individual plates and spoon over the syrup and thickened cream. Step 7: Note- the pears can be served at either room temperature or chilled.